Ms Ardern said her cabinet had backed gun law changes "in principle". Police say the killer used military-style assault weapons modified to make them more deadly - which is not illegal under current legislation. The prime minister gave no details at her press conference on Monday but said they would made clear soon. 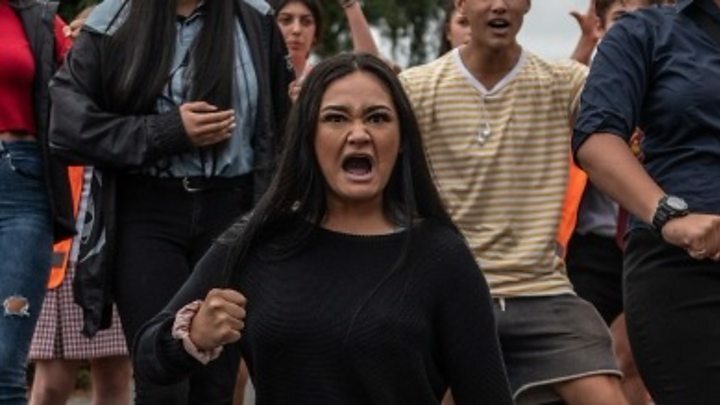 "This ultimately means that within 10 days of this horrific act of terrorism, we will have announced reforms which will, I believe, make our community safer," she said. 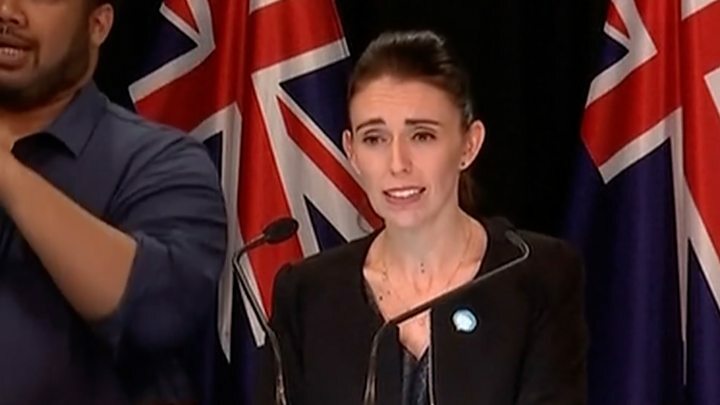 Ms Ardern was appearing alongside her coalition partner and Deputy PM Winston Peters, who has previously opposed changes to gun laws. Mr Peters said he fully supported the prime minister on the issue, adding: "The reality is that after 1pm on Friday, our world changed forever and so will our laws." Ms Ardern said: "We have made a decision as a cabinet. We are unified." What do we know about the guns used? 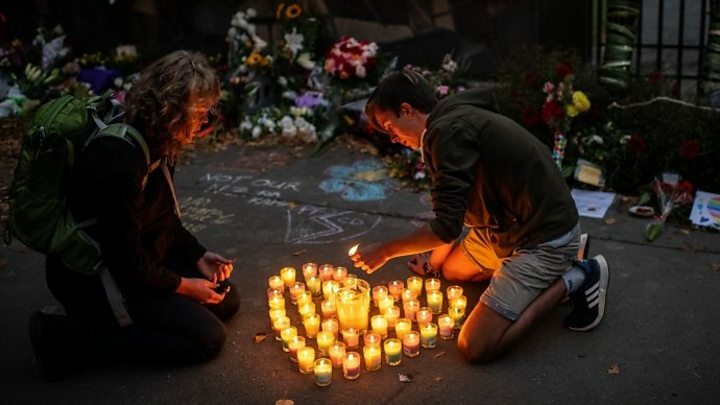 Under New Zealand's gun laws, A-category weapons can be semi-automatic but limited to seven shots. Video footage of the attacks appeared to show the gunman's weapon had a magazine with a larger capacity, which is also available legally. What do we know about the footage of the attack? Footage of the killings was live-streamed by the attacker. On Sunday police said it was now classified as an objectionable publication and therefore it was an offence to distribute or possess the material. An 18-year-old appeared in court on Monday, charged with distributing the live-stream. 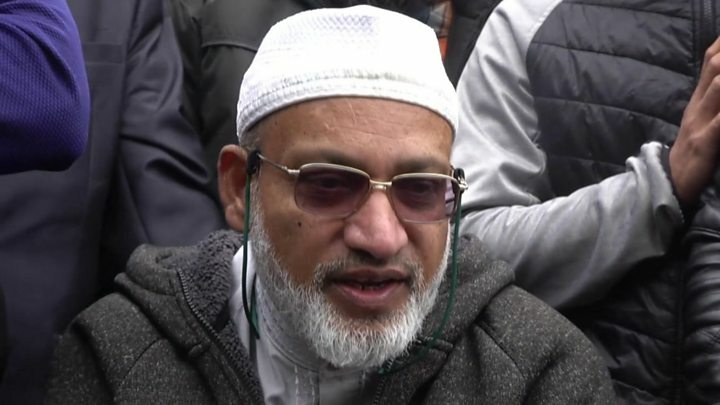 The teenager was also charged with publishing a photograph of the mosque with the message "target acquired" and faces a maximum of 14 years in prison for each charge, according to the prosecution. Many returned to work and school on Monday, but little about it felt ordinary. If anything, the signs of the city's emotions became more visible. And on the suspected gunman? Mr Peters says the defendant has indicated he "wants to be self-represented in this case". The lawyer added: "The way he presented was rational and someone who was not suffering any mental disability. He seemed to understand what was going on." Australian media reported that one of the homes belongs to Brenton Tarrant's sister. The family is co-operating with the authorities. An uncle of Brenton Tarrant said: "We are so sorry for the families over there, for the dead and injured."